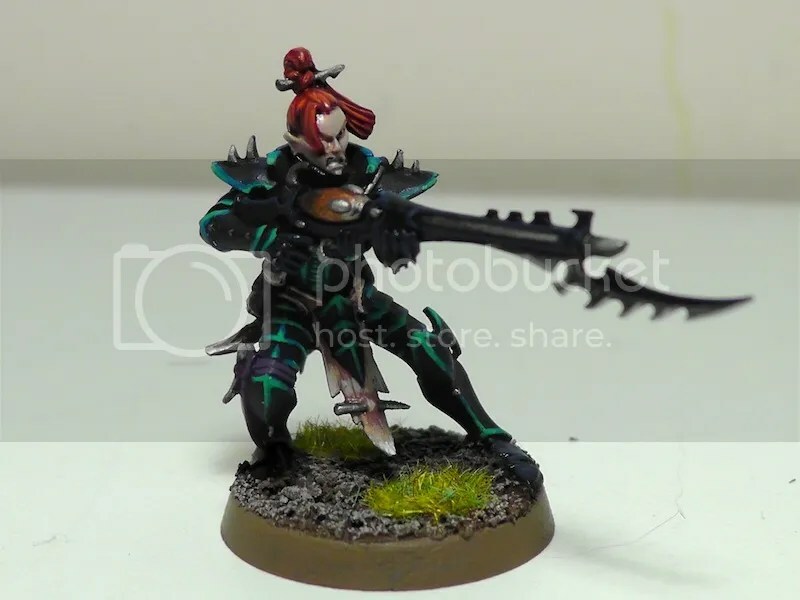 Posted by Jason Bergunder in Dark Eldar, Painting, Tutorial. 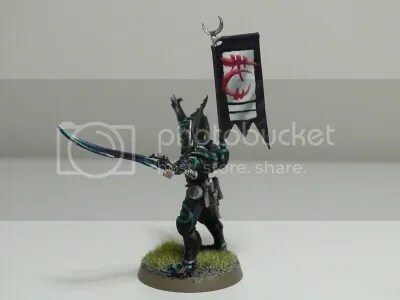 Posted by Jason Bergunder in Dark Eldar, Painting. 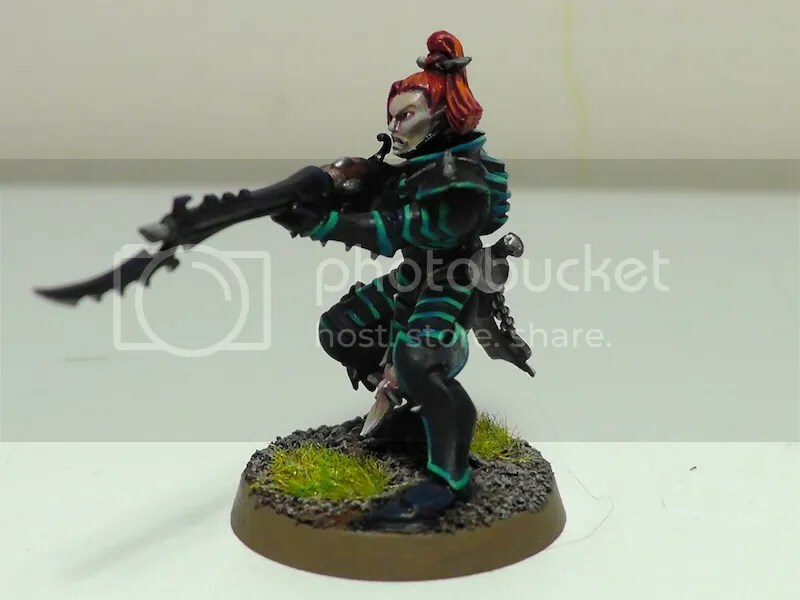 Finally finished the Sybarite from this set. 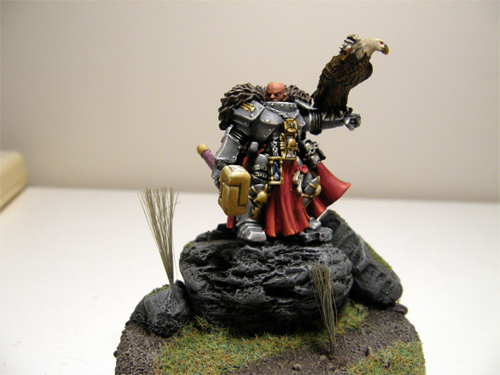 He is going to be in a tutorial video, coming soon. Posted by Jason Bergunder in Painting. Sometimes I like to reminisce. Just go through my collection over the years just to see how I improved. 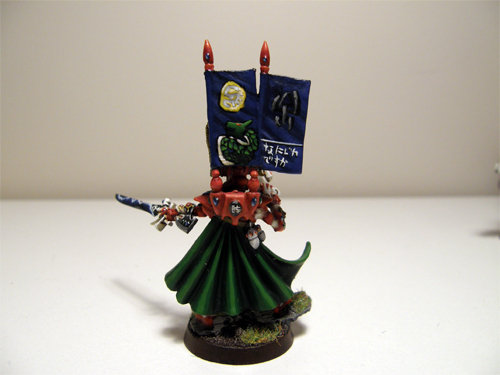 7 years ago, to my first year of this hobby, I was just like any other kid learning how to paint. I started with the very basics. Like base coats and drybrushing basics. And now, I shudder at the thought of drybrushing my models. My standards and skill level have risen so much as to actually shun certain techniques in favour of new learned or more complex techniques. 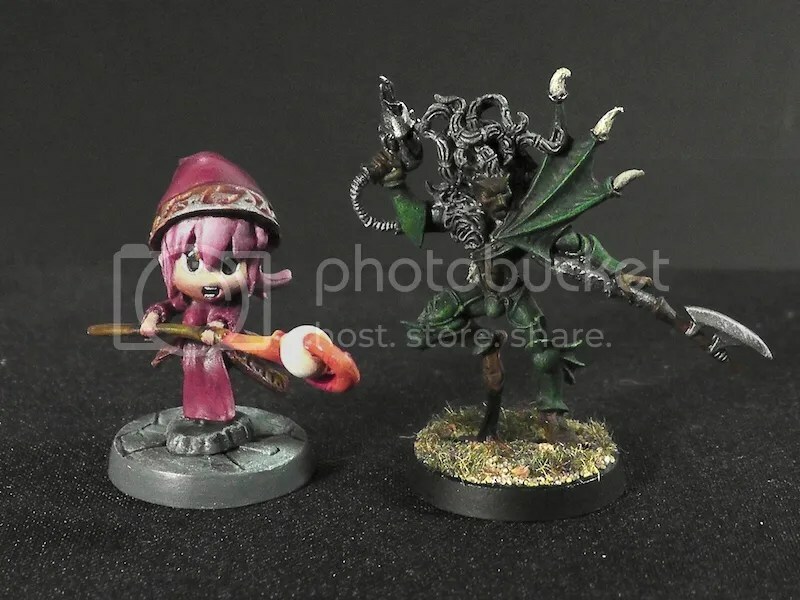 Unfortunately, I do not have the will power to repaint those older models. 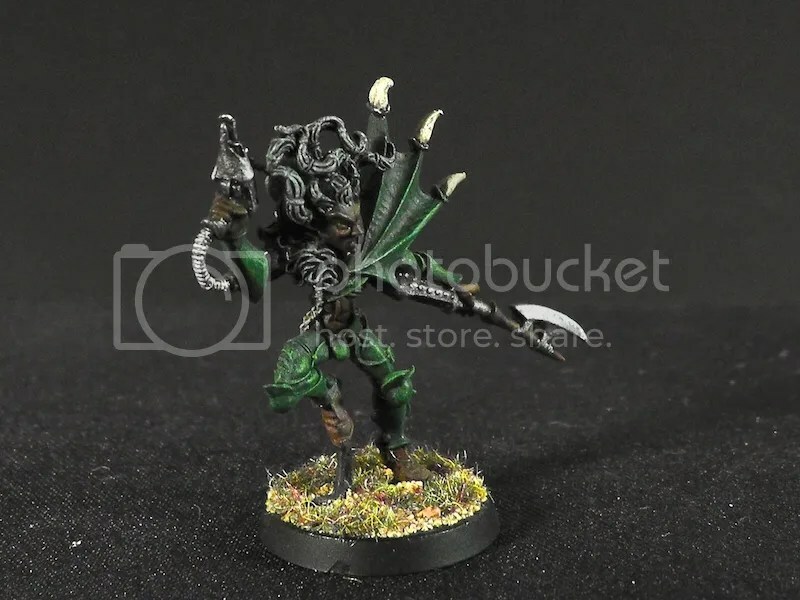 Nowadays, you will not see a model of mine I have painted recently without some sort of highlights, blending, freehand, and if I feel like it, NNM. This is my painting time-line, if you will. The complexity pretty much changes from year to year. 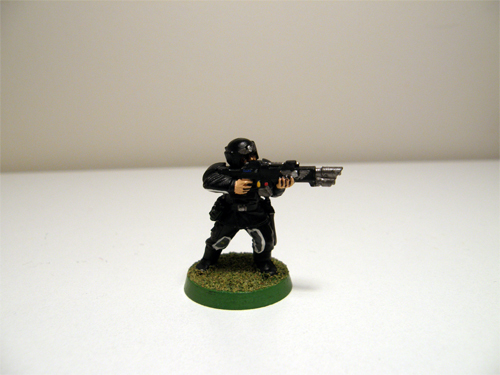 Next is the Guard. 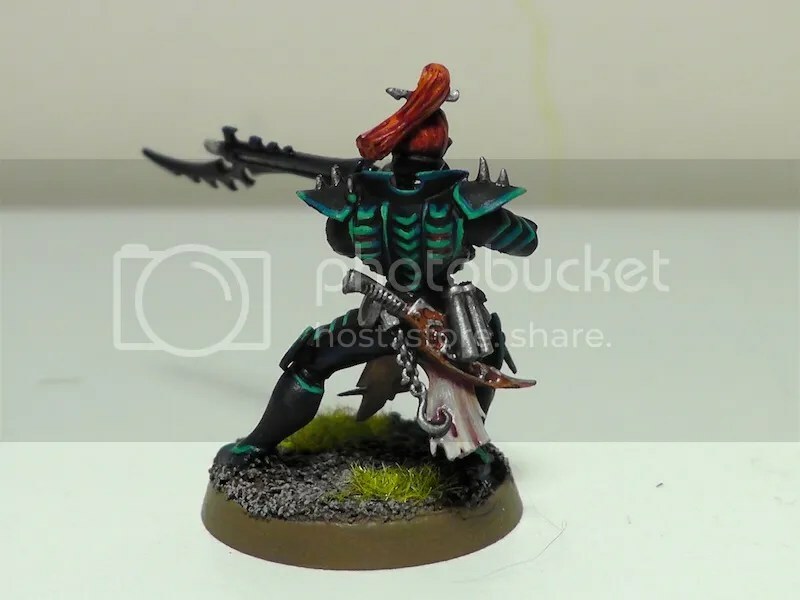 This is a friend’s model that I painted up for him. Here the painting is far cleaner. 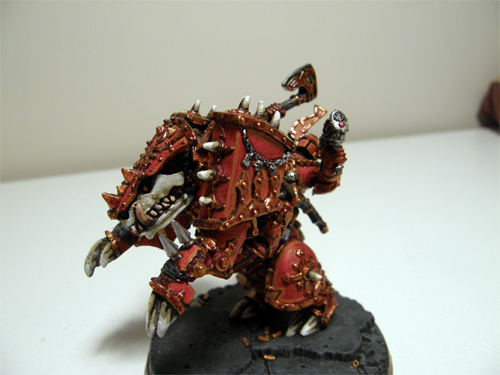 Next is a Juggernaut of Khorne. 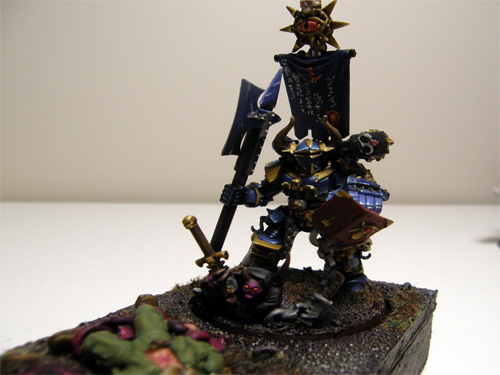 This was painted for my friend, but he decided that Warhammer was not for him and gave his entire army to me. About 1500 points worth and, me being me, I didn’t argue :). 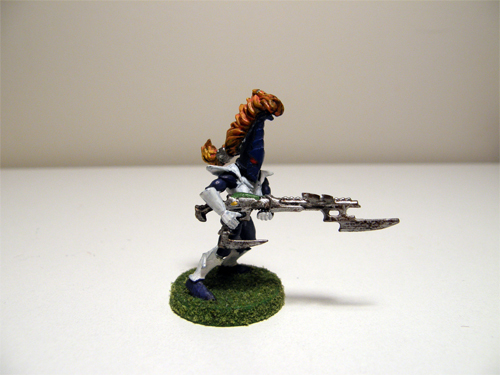 Here we have that starting of highlights and experimenting on layering and striping. 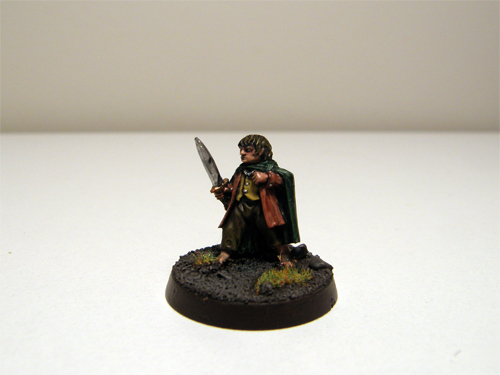 Next is Frodo. Here we have the start of blending. Or at least thin layers. The base looks better too. 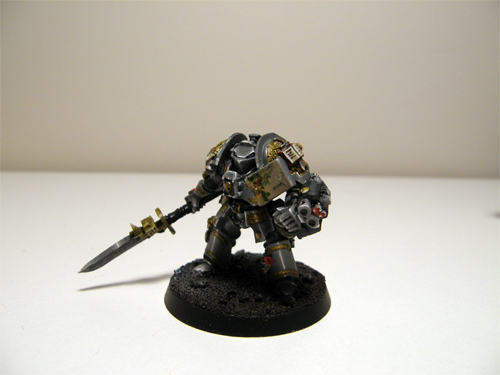 Next is Inquisitor Coteaz. 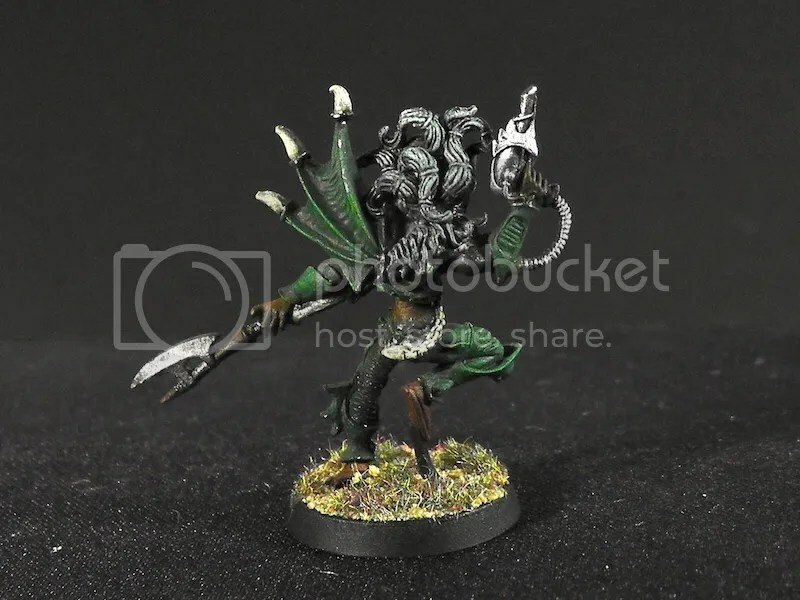 I think this guy was the true start to my extreme standards. 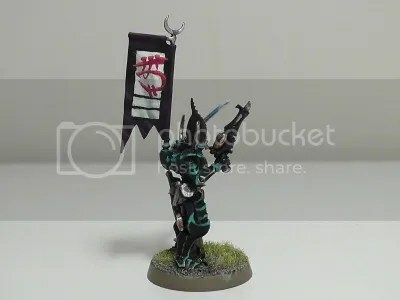 I was reading the White Dwarf and saw this new addition to the ‘Eavy Metal Team, Darren. I Thought, well lets read up on what he has done. I turned the page, WOW. As far as I was concerned, Darren was the NNM goto guy. Very talented young guy. He is the one that has been winning the eavy metal contests at the studio lately. Anyways, Coteaz was my first attempt at NNM. 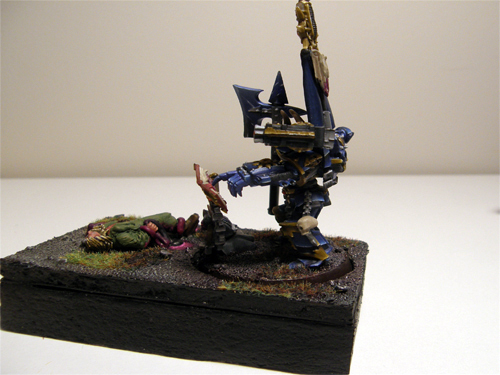 I entered him in the 40k single model category at the last Vancouver Conflict in 2008 and got second place. Finally, is my latest skill testing model. 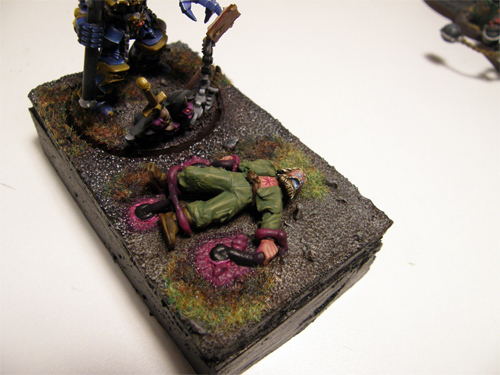 I made the model from one of those events at Conflict in 2007. 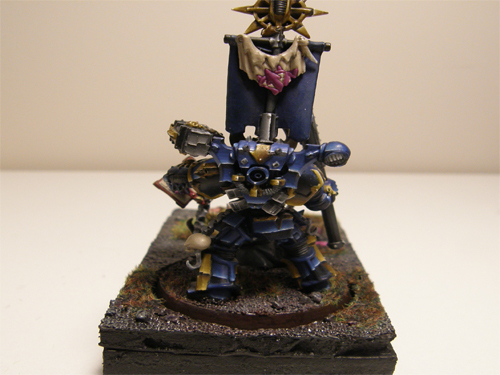 This is the best paint job I felt I could do (excludng freehand) as of January 2009. I have yet to do a skill testing model for this year. 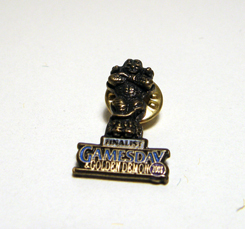 I was thinking of entering this in the Golden Demon, but they got rid of the Canada Games Day. 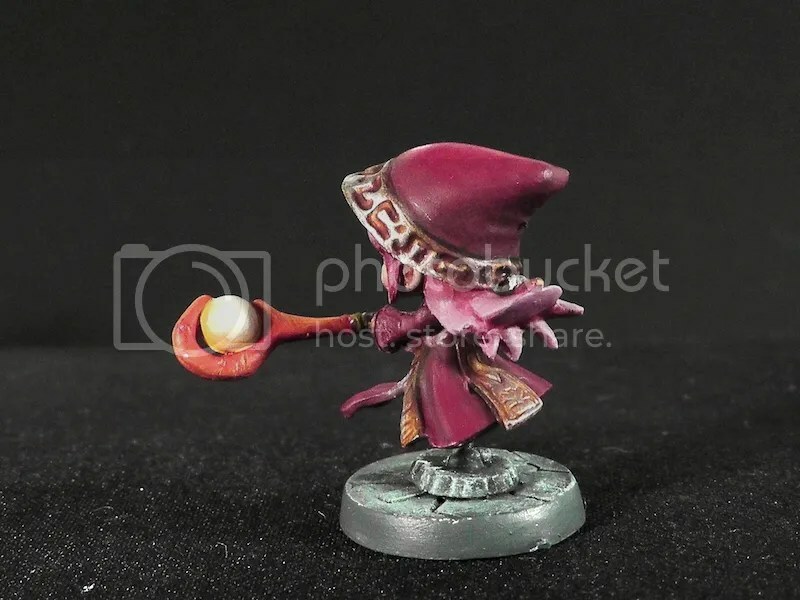 Now none of the store up here offer a preliminary or anything like that :(, It is a Tzeentch Sorcerer sacrificing some poor guardsman. 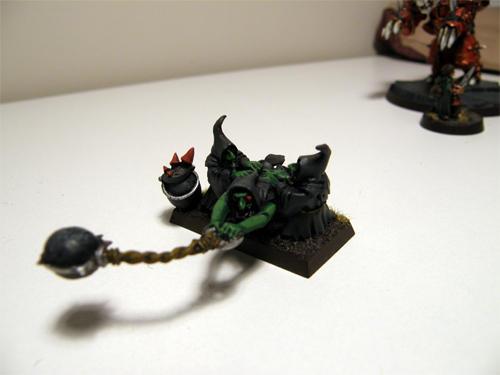 The sorcerer himself was made at Conflict, the base was made later. Way back, about 7 years ago, back to a time where Yu-Gi -Oh! was “the thing”. I was at Richmond Centre walking around looking for Yu-Gi-Oh! cards when I came across Games Workshop. I walked in and just looking at the boxes I knew I was already hooked. Fortunately, my parents were there and got me the 3rd edition starter set (the one with Dark Eldar and Space Marines). 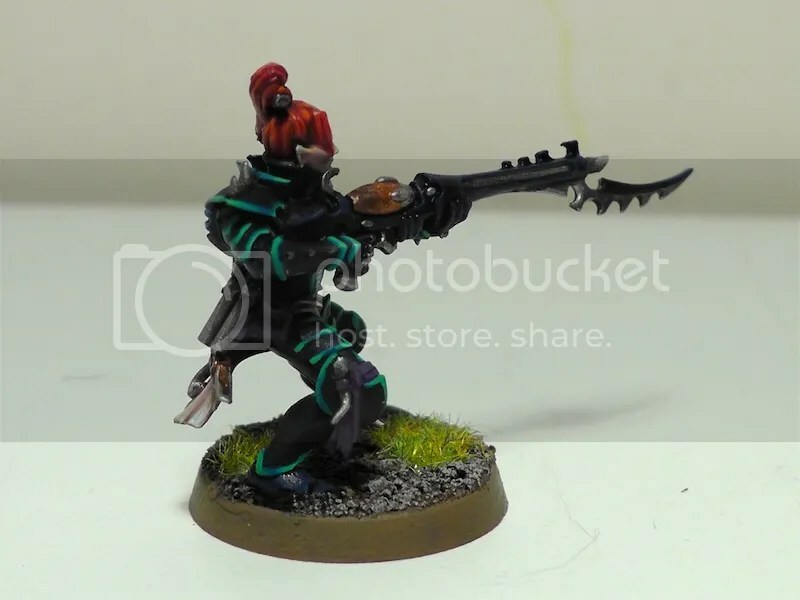 I ended up with the Dark Eldar and my brother got the Marines. 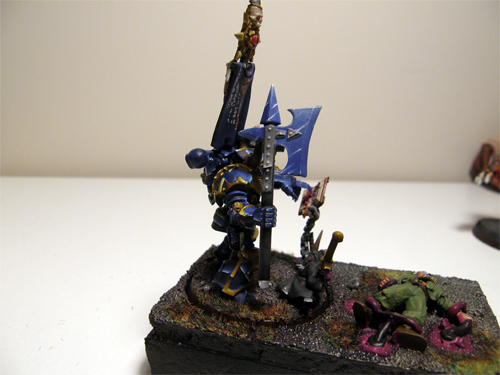 This is the place where I learned how to put the paint brush on the model. So, about a year later, my friend showed me the Surrey GW. Thank god, because then I don’t have to drive 45 minutes to an hour to the nearest GW. Nearly a year of going to GW surrey, there was this vehicle painting contest. 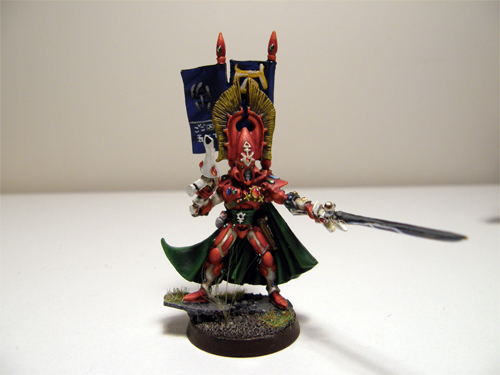 Having just finish my Asdrubael Vect and so proud of it, I decide to put it into the contest. 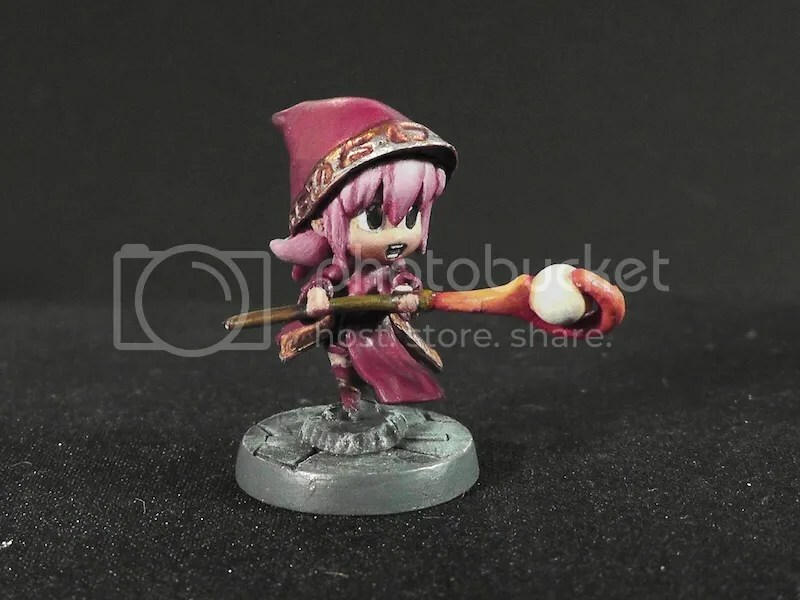 I won 😀 And thus started my love of painting to this day. 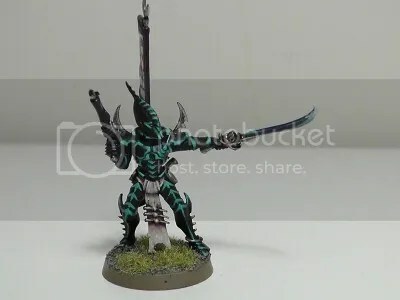 As you may have guessed from the story, I collect Dark Eldar. Over the past 7 years, I have gotten several others. 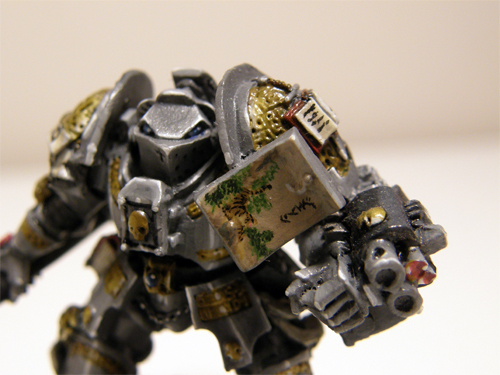 Empire, Tau, Grey Knights, and Space Marines. But I inherited some others. About 1500 points of Chaos from a friend, and an army of Guard from my dad. Note: Dylan, Brennan and whoever else lives nearby, WE MUST HAVE A GAME SOME TIME!!!!!! !